After the new bridge was completed in 1964, and with boating demand increasing, the marina slowly changed so that by the late 1980’s the marina stored up to 99 boats. A 1963 image already shows the beginnings of the change with a larger pontoon across the front of our building. The slipways were able to service up to four vessels and boats were still being built onsite. 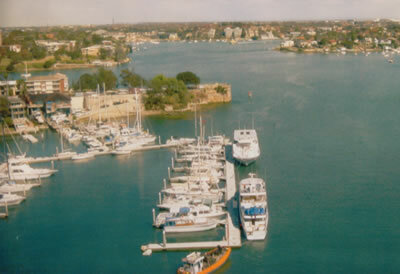 By the 1990’s the marina had about 15 boats on its pontoon system. Boaters were demanding floating pontoons by then as they wanted easier, safer access for getting on and off their boats. 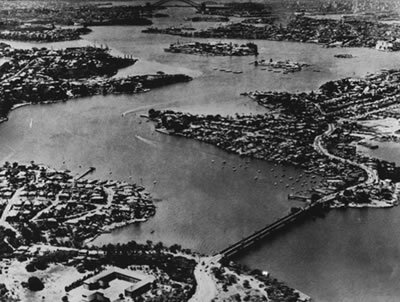 The marina still had 84 moorings which extended from just in front of the marina structure to beyond the Gladesville Bridge. The marina continued to service boats on its slipway. 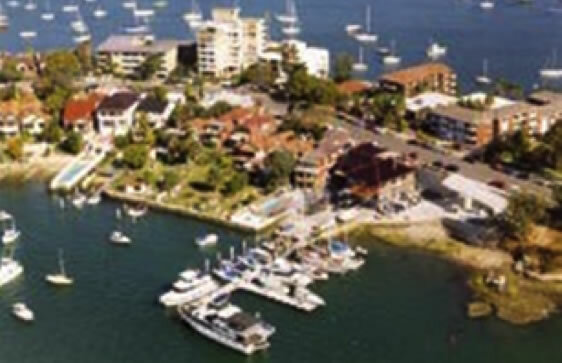 In 1999 the marina structure was expanded to what it is today with 50 berths and during the 2000 Sydney Olympics it even had some super yachts berthed there temporarily. Since completing the expansion in preparation for the Sydney 2000 Olympics, our marina has continued to store boats on its 44 moorings as well as the newly built berth structure and still provides servicing and repair. In 2013 we completed an upgrade to the building and some of the existing equipment. Our customers come from many areas of Sydney, NSW, interstate and overseas, however the majority of our customers – over 50% - are still local Canada Bay residents. 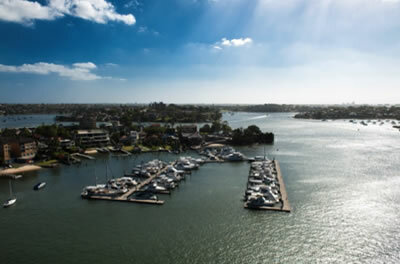 All our customers enjoy accessing Sydney Harbour, the world’s most magnificent waterway, through Gladesville Bridge Marina.